“Lo, I come: IN THE VOLUME OF THE BOOK it is written OF ME" (Psalm 40:7). "ALL THINGS MUST BE FULFILLED, WHICH WERE WRITTEN in the Law of Moses, and in the prophets, and in the Psalms, CONCERNING ME". (Jesus Christ, Luke 24:44). "And beginning at Moses and all the prophets, he (Jesus) expounded unto THEM IN ALL THE SCRIPTURES THE THINGS CONCERNING HIMSELF." (Luke 24:27). "For had you believed Moses, you would have believed me: for HE WROTE OF ME." (Jesus Christ, John 5:46). If it were only 5, 7 or even 10 Scriptures, traditional Jewish rabbis could possibly dismiss it as “mere coincidence” that those prophecies fit Jesus like a glove. However, they CANNOT DISMISS NOR “EXPLAIN AWAY” OVER 350 PROPHECIES in the Torah and the Tanach that were fulfilled by Jesus of Nazareth. And those who live in Jerusalem, or have visited Jerusalem, HAVE SEEN WITH THEIR OWN EYES JUST HOW PRECISELY Jesus’ prophecy was fulfilled. Of course, naysayers will falsely claim that such passages were “added” to the Gospels “many years later” to make it appear as though Jesus had predicted these things. If they did, they added them TO THREE DIFFERENT Gospels: And to EVERY EXISTING COPY of those Gospels. Not an easy feat. 3. However, Jesus made yet ANOTHER prediction on which naysayers CANNOT cast EVEN THE SLIGHTEST doubt. Jesus predicted that Jerusalem would be trampled by Gentiles, NON-STOP until the “times of Gentiles were fulfilled” (Luke 21:24). NO ONE ELSE has ever made this prediction. And NO RABBI or skeptic can argue that the New Testament was “doctored” to say that because that prophecy has been PERMANENTLY recorded in the Brit Hadasha for the past 2,000 years, and it was fulfilled BEFORE YOUR VERY EYES on Iyyar 28, 5727 (June 7, 1967). That is when BIBLICAL Jerusalem returned to Jewish control AFTER MORE THAN TWO THOUSAND YEARS OF UNINTERRUPTED Gentile trampling. Who, in his wildest imagination, could have foreseen such fateful event? God swore -- and we know that Yahweh DOES NOT LIE -- that NO ONE from Jeconiah’s lineage would ever again sit on Israel’s Throne. You have a problem: Whoever the “Messiah” may be, he’s GOT TO BE a descendant of both King David and Solomon, BUT He CANNOT DESCEND FROM Jeconiah. 5. Birth records were kept in the temple. It was destroyed in 70 A.D. If Messiah hasn’t yet appeared, HOW ON EARTH is “he” going to PROVE his qualifications by ancestry? Ooops! A piece of linen cloth dating back to the first century, that bears the image of a man scourged, crucified, stabbed with a spear, and crowned with thorns, IN PRECISELY the same manner as the Gospels describe the Crucifixion of Jesus. Even with ALL the sophisticated modern technology at our disposal, NO ONE can still explain HOW the Image on that cloth was formed. 7. Then there’s the fact that Jesus has ABOUT 2.5 BILLION ADORING followers on earth 2,000 YEARS AFTER He died, rose and ascended. 8. Then there’s the EMPTY TOMB. In a tiny city ONLY ONE SQUARE MILE IN SIZE, population 40,000 – ALL Jewish or Roman authorities needed to do was produce Jesus’ DEAD BODY 4 days after His Crucifixion and there would be NO CHRISTIANS. NO ONE could explain the empty tomb in the first century. And NO ONE can explain it today – apart from Resurrection from the dead. The late Peter Stoner, Chairman of the Departments of Mathematics and Astronomy at Pasadena City College, and Professor Emeritus of Science at Westmont College, calculated the probability that ONE INDIVIDUAL could fulfill JUST 8 of the Old Testament prophecies concerning the Jewish Messiah as one in 100,000,000,000,000,000. That's one in ONE HUNDRED QUADRILLIONS. That figure is INCOMPREHENSIBLE to the human mind. We are simply INCAPABLE of grasping the SHEER ENORMITY OF IT. But what if that ONE INDIVIDUAL fulfilled, NOT JUST 8, but 48 such prophecies? That's one in (1 followed by 157 ZEROES). The figure is so large, I wouldn't even know how to say such number... let alone imagine it. It reflects virtual IMPOSSIBILITY that ONE PERSON could fulfill 48 of the Messianic prophecies in the Old Testament. So, how many of those prophecies did Jesus actually fulfill, IN PRECISE DETAIL? Not 8, not 48, but OVER 350. We have LISTED ALL OF THEM in another message. 1. HAS TO BE BORN IN BETHLEHEM (MICAH 5:2). 2. HAS TO COME FROM KING DAVID'S GENEALOGY (ISAIAH 9:7). 3. Has to be preceded by a forerunner (Malachi 3:1). 4. Would have a Galilean ministry. His light would shine in Galilee (Isaiah 9:1-2). 5. Rides into Jerusalem on a donkey (Zechariah 9:9). 6. Is betrayed by a close friend (Psalm 41:9). 7. Is sold for thirty pieces of silver (Zechariah 11:12). 8. Is silent before His accusers (Isaiah 53:7). 9. Confirms the Abrahamic Covenant (Daniel 9:27). 10. Confirming the covenant, and atoning for sin, required the shedding of Blood (Leviticus 17:11; 1:5). 11. A sacrifice must be offered (must DIE) on Mount Moriah, in order to be Kosher (Genesis 22:2). 12. He is rejected by Israel (Isaiah 53:1-3; Psalm 118:22). 13. HIS HANDS AND FEET are PIERCED (PSALM 22:14-18). 14. HE WILL STILL HAVE VISIBLE WOUND marks ON HIS HANDS WHEN HE SHOWS UP ON THE MOUNT OF OLIVES (ZECHARIAH 13:6). 15. Those wounds are inflicted to Him in "the house of His friends" (Zechariah 13:6). 16. He must be pierced (Zechariah 12:10). 17. Jews WILL MOURN AND LAMENT FOR HIM, WHOM "THEY HAVE PIERCED" (Zechariah 12:10-14). Have you ever meditated on that Scripture and ASKED YOURSELF WHY the LONG-AWAITED COMING of Messiah CAUSES Jewish MOURNING, INSTEAD OF Jewish REJOICING? 18. Shortly after appearing, He has to die but FOR OTHERS, not for Himself (Daniel 9:26). 19. Messiah had to appear and die PRIOR TO 70 A.D (PRIOR to the Second Temple's destruction) (Daniel 9:26). 20. He had to appear 483 years AFTER a decree to "return and build Jerusalem (Daniel 9:25; Nehemiah 2:1). 21. He must appear TWICE, that's why the "70 sevens" are divided into TWO periods (Daniel 9:25). 22. He had to be REJECTED AND FORSAKEN of His own people. This, in turn, caused the destruction of the Second Temple (1 Kings 9:8-9; Psalm 118:21,22; Isaiah 53:3). 23. 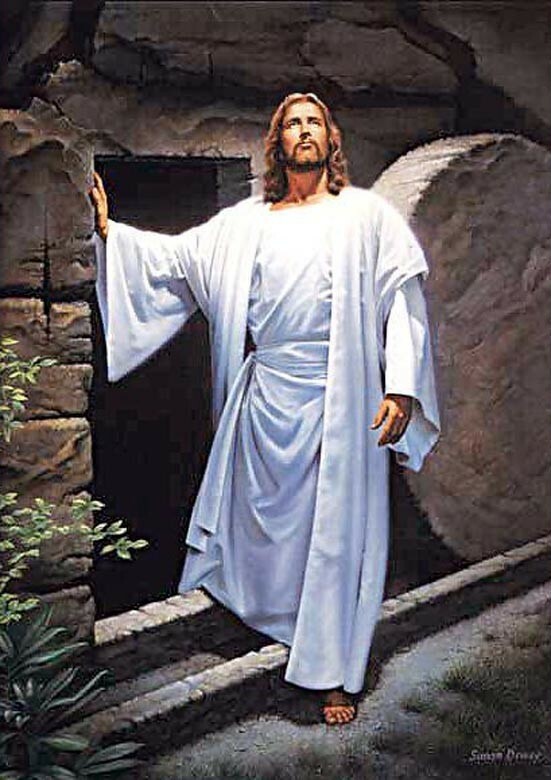 Would be resurrected (Psalm 16:10; 49:15). 24. Would ascend to heaven (Psalm 68:18). 25. Would be declared the Son of God (Psalms 2:7). If Jesus IS NOT the Messiah, then pray tell WHO IS? Copyright 2019. Martel Trevor Ministries. All rights reserved. You can win souls to Christ by highlighting and copying all, or portions of, this message and pasting it DIRECTLY onto your Facebook, My Space, or similar social media page. We suggest you also paste the "CONNECT WITH JESUS" link to the prayer of Salvation. You can also e-mail it to family or friends. May the Lord richly reward ALL who do. © Copyright 2012. Martel Trevor Ministries. All Rights Reserved. In Daniel 9:25, God tells Daniel, thru Gabriel, that FROM the WORD to return and build Jerusalem TO Messiah Prince there would be TWO PERIODS: one of 7 weeks (7 shemitta cycles adding up to 49 years) another of 62 weeks (shemitta cycles adding up to 434 years). THE REASON the 69 weeks are divided into TWO periods is that there will be TWO COMINGS OF Messiah Prince. In Daniel 9:26 He indicates that the 434 year period [62 weeks] was already fulfilled in Jesus’ First Coming, when He died and rose. That still leaves the 49-year (7-shemitta) period to be fulfilled. There have only been TWO decrees to return and build Jerusalem: the first took place in 445 B.C. and the second took place on April 1, 1969. If we count 7 shemitta cycles of 49 years FROM the first shemitta cycle after 1969 (when the SECOND DECREE was given), the SECOND COMING of Christ must take place in the year 2022.
things would increase (Daniel 12:4, 9). UNSEALS more Truth. Thank you. single one. It will all tie together in the end. Code which appears in Leviticus, chapters 17-26.
prophetic significance of the Yovel. divisions, verse numbers, or even punctuation marks. 24, 25, etc. It was all one long, continuous text. 25, must ALSO have prophetic significance. 1. The land must lie fallow. 3. All loans [debts] in Israel were cancelled. 4. Slaves were set free. So, what is the prophetic significance of Jubilee? restore the Jubilee in His Second Coming. prophetic time clock is Jerusalem. Joel chapter 2; Zechariah chapters 12-14; Luke 21:24]. Scripture must ALWAYS be taken IN CONTEXT. called "Zion" in the Scriptures. other part thereof [Psalms 87:2-6]. the Old City, came much later. Jerusalem was completely destroyed in 70 A.D.
conditions -- and decided to rebuild the city. to Jupiter at the site of the first and second temples. the false messiah Bar Kochba. That rift remains to this very day. the first and second temples. Constantine, Crusaders, and the Ottoman Empire. European nations in the 18th, 19th and 20th century. None of the above was part of 6th century B.C. context of the 70 weeks. which in God's eyes is an abomination. Jerusalem, 19 years later, during the 6-Day War. All this was prophesied in the Scriptures. pathologically biased in order to misunderstand it. the Septuagint. THAT is undisputed. Cyrus lived 500 years, it doesn't hold water. special message about that is absurd. is to rebuild THE CITY, NOT the temple. PRINCES: Cyrus, Alexander Jannaeus, and Titus. and bring in EVERLASTING RIGHTEOUSNESS. in 70 A.D., precisely as predicted? Take off the blinders, Jewish friends! In context, IT COULDN'T BE ANYONE ELSE. NO ONE ELSE can put an end to sin. NO ONE ELSE can seal the vision and prophecy. desolations [plural] of Jerusalem [Daniel 9:2]. Jerusalem would be rebuilt. It was. Messiah would appear. He did. Messiah would be killed. He was. Messiah would confirm the covenant. He did. again] the city and the temple. It happened. time of the end". It has! This was prophecy when Gabriel told Daniel. These things are now HISTORY. happen sometime IN THE VERY NEAR FUTURE. Gentiles, UNTIL the "times of the Gentiles" are fulfilled. dying of terror, the powers of heaven shaken. cloud with power and great glory. We are that generation, without a doubt. during the Six-Day War, AS JESUS PREDICTED. trampling, just as Jesus predicted. KNOW His return MUST BE very, very, very near. But that still doesn't tell us the year. The next three messages will. for Jesus' First and Second Comings. Prince] there will be 7 weeks, and 62 weeks". years, totaling 69 weeks or 483 years. year of his reign, which was March of 445 B.C. 69 sabbatical weeks = 483 years. 483 years from 445 B.C. takes us to 33 A.D (38 A.D.
marvelous prophecy). Keep reading for more details. the spring of 37 A.D.
rose, and won't be dying any more (Romans 6:9). That still leaves the first 7 weeks of the timeline. week portion that Messiah's death would occur. weeks, "in the middle of" the (70th) week (Daniel 9:27). First Coming, already took place exactly as predicted. 3½ years of tribulation, and the reign of Antichrist. give him the exact year of His Second Coming. He did. It's been in the Bible for 2,500 years. of Messiah divided into TWO sections? took Nehemiah to rebuild the city. only 52 days to rebuild the wall (Nehemiah 6:15). TINY city INSIDE those walls? ANYWHERE CLOSE TO 49 years: 1-3 years TOPS. they wouldn't be understood UNTIL OUR TIME. decree of Artaxerxes to rebuild THE CITY in 445 B.C. ONLY to rebuild THE CITY. restore and build Jerusalem to Messiah Prince. to "return and rebuild" Jerusalem. to the ACTUAL RECONSTRUCTION of the Quarter. that EXISTED at the time that prophecy was given. Other portions of the Old City were added much later. makes the Jews' return here IMPOSSIBLE". God always reveals THE END from the beginning. week portion MUST lead us to His Second Coming. following the order given in 1969 to "return and build"? occurred 3½ years earlier, in the spring (Aviv) of 2016. Second Coming will take place. in Daniel's time, BEFORE the Babylonian exile. The Knesset vote to "restore and rebuild Jerusalem"
came on Passover Eve, 4/1/69. RETURN and build came in June 1967.
restored and Jews were MOVING IN. Jerusalem, including the Rova, on June 27, 1967. These are documented, historical FACTS. MAJOR reconstruction began in 1969.
since shemittas take place every 7 years. Lord's Jubilee, which is the 50th year (2021-2022). "SHOULD") take place in spring 2019. Is God amazing, or what? shall appear in His glory". Before you fire off some stupid email calling me “false prophet” or asking “WHAT IF the Rapture doesn’t happen in this time period"? DO US BOTH A FAVOR, and TAKE A DEEP BREATH. A. I have NEVER called myself “prophet”. NEVER!!! B. This ISN’T some whimsical prediction. It’s NOT my opinion, it’s NOT speculation. This teaching is SOLIDLY based on the INFALLIBLE, Holy Word of God. You’re WASTING YOUR TIME asking me, hypothetically, to “consider” OTHER “possible” scenarios. There are NONE. God CANNOT lie. And I WILL NOT consider anything THAT CONTRADICTS His Holy, inerrant Word. C. If you THINK this teaching is SCRIPTURALLY INCORRECT, you’re more than welcome to debunk it with the Scriptures. If you can provide SOLID BIBLE PROOF that it’s in error, I will IMMEDIATELY change it, repent, and ISSUE A PUBLIC APOLOGY. ANYTHING short of SOLID BIBLE PROOF is an exercise in futility on your part. D. I’m NOT INTERESTED IN YOUR OPINION; I’m ONLY interested in WHAT GOD SAID. Here’s your chance: PUT UP or SHUT UP. © Copyright 2010. Martel Trevor Ministries. All Rights Reserved.